Tanya Long has been selected for the Silence Awareness Existence artists in residency program at Arteles Creative Centre in Hämeenkyrö, Finland for the month of January 2017. Silence Awareness Existence is a special residency program for artists and creative minds. 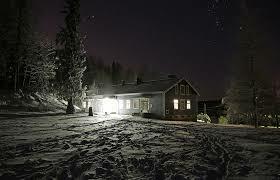 It provides a journey into existence through art, silence and solitude, right in the heart of Finnish winter. The program brings together artists & creative professionals working around the theme on various fields. Artistic, scientific and meditative approaches are all equally embraced. The predefined structure of the program is kept empty. More extreme elements can be added to it, if the residents wish so (e.g. silent [= no speaking] days, limited access to internet to deepen the experience and prevent the escapism through www). The conditions are excellent for both concentrating on your own work, thinking and being, and for sharing experiences and ideas with others. There is no pressure to necessarily produce anything, in case you are more into inner development, self-reflection and research.